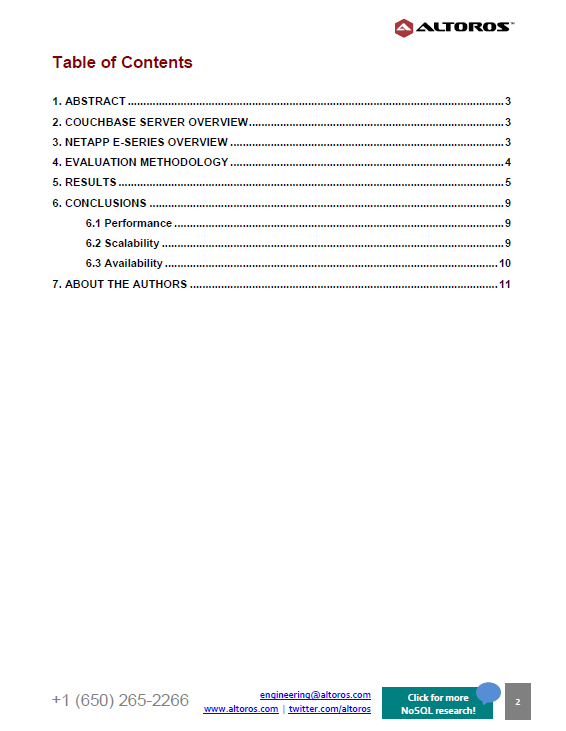 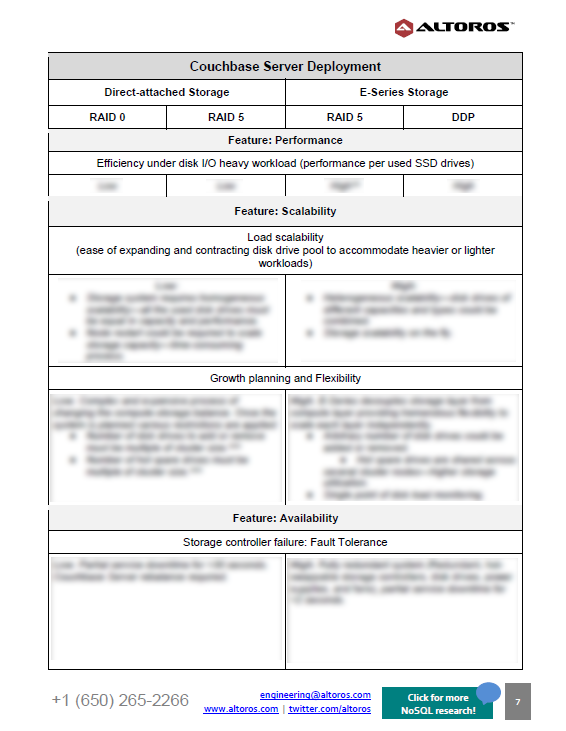 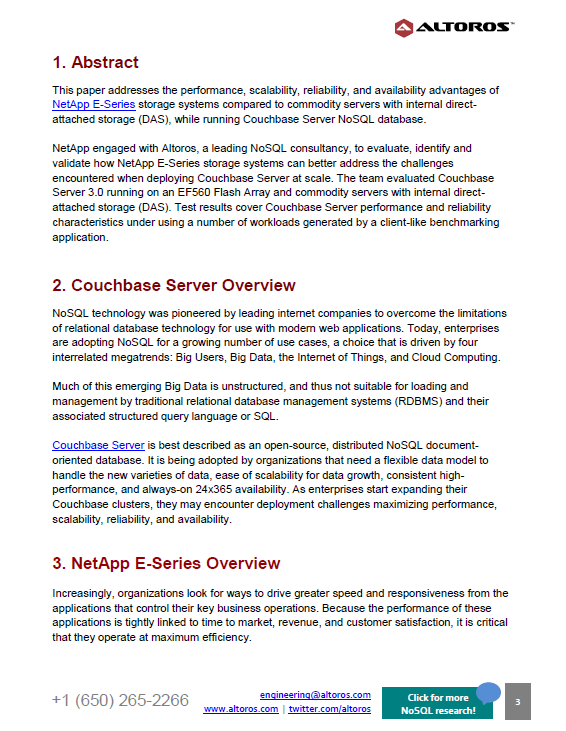 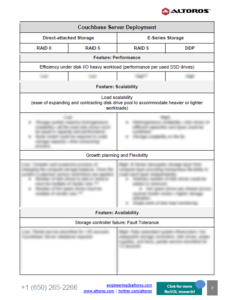 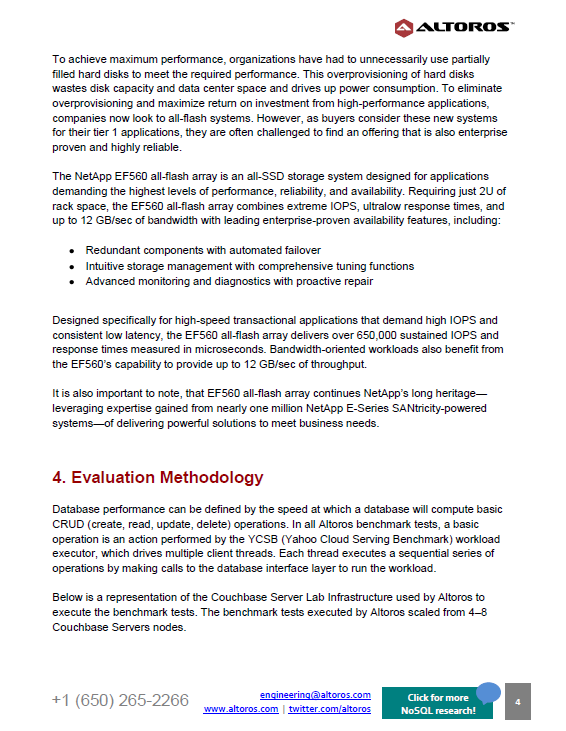 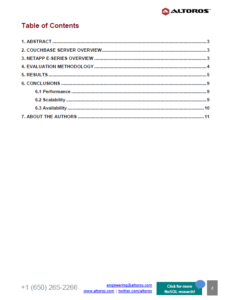 This 11-page paper explores performance, scalability, and availability of the NetApp E-Series data storage and management system deployed with Couchbase Server. 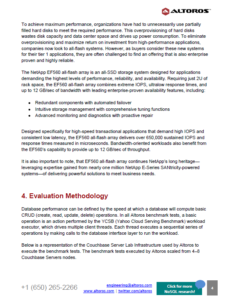 Designed for high-speed transactional apps that demand high IOPS and consistent low latency, NetApp E-Series all-flash arrays may deliver 650,000+ sustained IOPS and response times measured in microseconds. 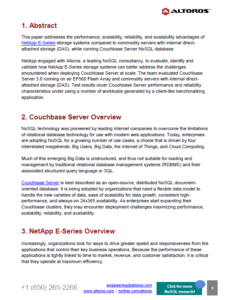 Systems like that can be used to maximize the efficiency of NoSQL-based solutions and document-oriented databases, such as Couchbase Server.